Nitor announced the hiring of Northern Illinois University alumna Wendy Troeger to lead its Procurement Business Process Outsourcing (BPO) Practice. Troeger brings over 25 years of experience in corporate finance and procurement leadership and has been recognized for her ability to develop teams, as well as implement efficiencies and cost savings by collaborating with multiple disciplines. Prior to joining Nitor, Wendy held leadership roles in the restaurant and consulting services industries. While at McDonald’s Corporation, she was integral in creating and implementing the spend management initiative for Indirect Spend. 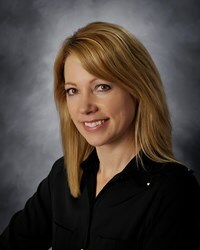 Wendy holds a Bachelors of Science degree in Accountancy from NIU, and is a CPA. At Nitor, Troeger will lead the fast-growing BPO practice, which provides remote, scalable resources that help organizations achieve short- and long-term procurement business objectives. Nitor’s BPO capabilities focus on sourcing execution, supplier enablement, contract migration, spend diagnostics, and technology implementation/support. “I’m extremely excited about the opportunity to join the Nitor team and expand the breadth of Nitor’s service offerings,” said Troeger.